US Weight provides Duracast weights over a diverse range of industries from industrial to retail. 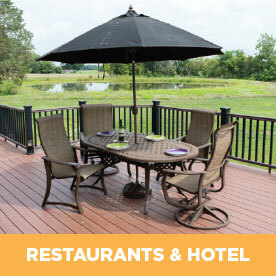 Duracast weights have a rugged, all weather outer shell that will withstand the punishment of industrial applications yet maintains an attractive curb appeal for the retail and hospitality trade. The molded outer shell can be made in almost any color and provides an excellent opportunity for messaging or branding. 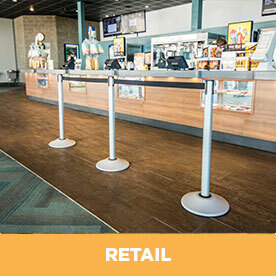 US Weight provides various weight solutions in the retail industry including display ballasts, weighted temporary signage and innovative, cost effective stanchions for crowd control and safety applications. Our counterweights are standard for the world’s largest producer of rear-tine tillers. 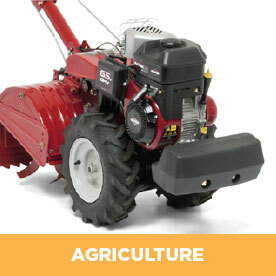 Counterweights are used to offset rear leaf/grass baggers on lawn mowers, to add weight to rear hitches offsetting front mounted blades and for weighting down aerators. We design counterweights designed to hold temporary structures in place no matter what construction. 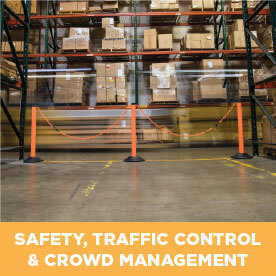 We offer a full line of canopy weights, barrier weights and retractable belt & chain crowd control devices. We lead the industry in innovative solutions. 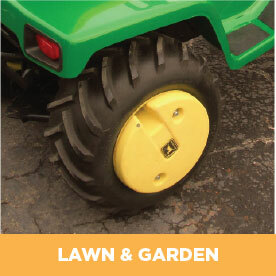 Safety yellow or orange products are designed for inside & outside use. No one comes close to the customer friendly solutions we provide. Tough, tried and true US Weight counterweights have served the agriculture markets for over a decade. 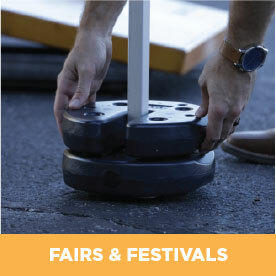 Whether it’s the patented QuikSecure wheel weights or the versatile 42 LB “suitcase” weights, our products are ready to meet the toughest challenge. 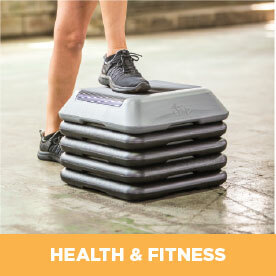 Some of our first products were used in the fitness industry. Our solutions have grown over the years to include Duracast weights used in health clubs across the nation. Our business is growing fast in this industry. Our many color and weight options for umbrellas bases are found in hotel chains across the country. Extremely competitively priced, high quality safety and crowd control options are also going in to new locations each week. There are too many to list, but rest assured we can provide you with an innovative, cost effective solution for your counterweight application. Stage, marine, recreation, lighting, elevator test, tractor, bridge whatever type of weight you need, we can provide. Solid filled, dry filled, bags, encased shells, fiber reinforced – you name it, we’ve got it.